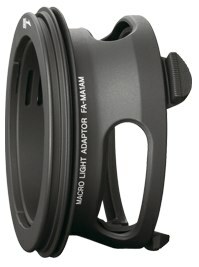 This post is a compilation of information related to the Sony 50mm f/1.8 DT SAM SAL-50F18 lens. DC Watch has just posted an impressive set of full-resolution images (Google’s English translation) taken with the Sony 50mm f1.8 lens mounted on a Sony Alpha A550 DSLR camera. You’ll need to page down a bit, past the 30mm f2.8 macro samples, before encountering the relevant thumbnails. Click on the thumbnails to access the full-sized originals. These images, in my opinion, show off the bokeh of this lens nicely: 1, 2 and 3. The filter thread size / diameter on the Sony 50mm f1.8 is 49mm, which means you’ll want to be looking at 49mm filters. 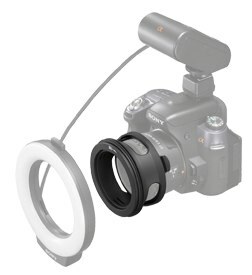 If you’re looking to mount either the Sony Alpha HVL-MT24AM Macro Twin Flash Kit or Sony HVL-RLAM Ring Light on the 50/1.8 macro lens, you’ll have to purchase the Sony Alpha FA-MA1AM Macro Light Adapter first.